Originally from North Dakota, David spent 21 years in the medical field, eventually landing in the Dallas Fort Worth area. 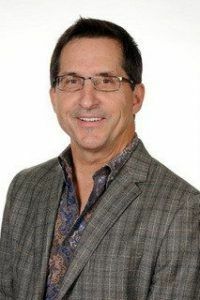 In 1996, he invested in and worked part time at an Interior Design, Furniture and Fresh Floral store in East Texas which gave him a taste for the industry and all that it has to offer. By the time that he and Cody met in November of 2004, the plans were laid to begin a new type of Sales Management Organization.By January of 2005, after a furious scramble to assemble product partners and showroom space, he and Cody opened CODARUS to it’s first Dallas Market. Since that time, David has enjoyed working with Cody and their hand-picked team of professionals to develop the business into the powerhouse of 26 Territory Managers and four showrooms that it is today. When time permits, David enjoys activities that include most anything around water or the lake including scuba, skiing, boating and jet skiing. He has a passion for snow skiing, motorcycles, bowling, live music, theater, and traveling. When it is time to unwind, he spends some time at his pottery wheel, or the piano.